Nia Haf Photography | So you wanna work & travel in Australia? So you wanna work & travel in Australia? So the working holiday visa itself is your first priority. Do this directly though the gov page. Don’t go through an agency, they will rip you off and it’s so easy to do on your own. Mine was really quick to come back (about 24 hours) but it can take a while so do it plenty in advance. You have a year to enter the country from the day it’s granted, so keep that in mind. It’s current cost is $450 AUD, that’s just under £250 (2018) and contrary to popular belief there isn’t masses of paperwork to fill out, just a simple online form. Next is your TFN (tax file number). This is their equivalent of a National Insurance number and required legally for work. You can’t do this until you arrive in Australia, but I was a little concerned as it requires an Australian address for them to send it to and I wasn’t going to be in the same hostel for the 28 days (thats how long they say it’ll take to arrive). So; I opted to go with a company who you can apply with before you leave, give them your arrival date and as soon as you’re on Australian soil they will process the application and email you the number- just means you don’t need to stay in the same place until it arrives and it’s one less thing to think about when you get there. If you know you’ll be in the same place for your first month then save yourself some money and do it directly through the gov page. I went though Go Work About but there’s lots of companies that offer a similar service, just google them. It’s the only thing I paid to be sorted for me because logistically it made more sense. The rest you can do alone and save money. Next is your bank account. Dead easy; I went with Commonwealth Bank, but they’re all much the same. You can open your account from the UK up to three months before you arrive, then you just need to go into a pre chosen branch with ID and they’ll give you your bank card. It then takes about 5 working days to move money from your UK account to your Australian account. Move a few grand because it costs about £30 in fees each time or use a service like Transferwise for cheaper rates. Take enough money to see yourself through your first two weeks while you get your bank account sorted (it won’t take that long). You can preload a Post office card with a couple of hundred dollars. Leave the log in details of your post office account with someone at home and they can top it up for you in an emergency too. You can use your British card but you’ll get charged quite a lot. Take about $200-300 cash to start you off for airport stuff/taxis/first hostel. 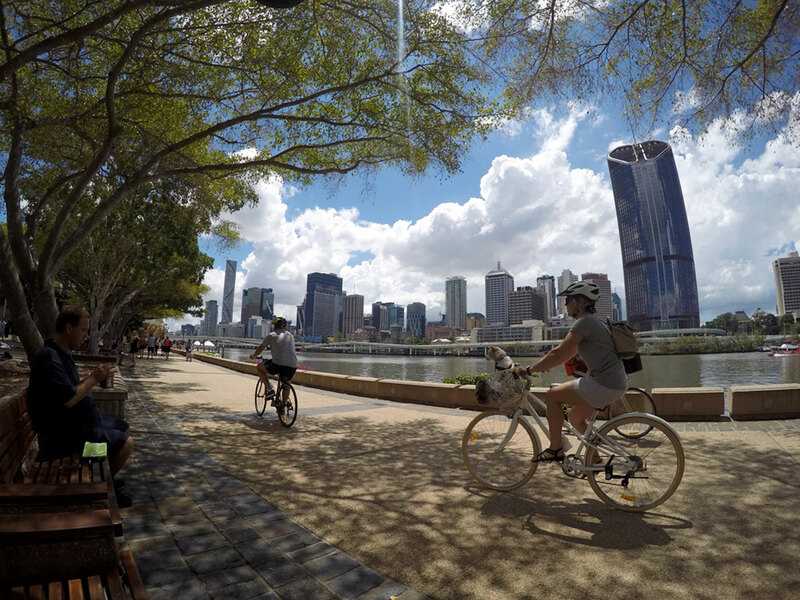 Enjoying chilling out on Brisbane’s South Bank on day three of being in Australia with all the official bits sorted! I booked my first hostel before I arrived, only 5 days but it’s nice to know where your going from the airport and not have to hunt for somewhere with a bed. I always use booking.com for hostels. YHAs are always really nice (usually with a pool), BASE and NOMADS are good but proper party hostels so don’t expect too much sleep. Those are the most well known three but there’s thousands to pick from! Dunes in Mungo National Park, New South Wales. The last of the important pre departure stuff is travel insurance. Just go on a comparison website and see which policy suits you best. I had all my camera equipment so needed a higher amount on my personal luggage. Other people don’t bother at all, especially as there’s a reciprocal health care agreement between Australia and the UK (see below). This covers you for doctors appointments or emergencies but of course doesn’t cover your personal belongings, passport, money and so on. You can also find insurance specifically intended backpackers. I used Nomads, unlike other companies they allow you to extend your policy while you are abroad- so if you decide to go somewhere after Australia you can easily extend it on your online account. One of the things you’ll want to do pretty soon after you arrive in Australia is get a Medicare card. This is incase you need to make use of that reciprocal health care deal I mentioned earlier. You just need to go to the nearest Centrelinks wherever you are (it’s sort of like their equivalent of the jobcentre) take your passport and they’ll give you a form to fill in. You’ll need an address for the card to be sent to, hostels are usually happy for you to use their address but check with them first. My card didn’t arrive before I left the address I’d given them, however when I went to the hospital for an X-ray they gladly accepted the Medicare number I was given in Cetrelinks. And thats pretty much it! Simple right? Now the boring bits are out of the way you can get back to googling pictures of Australia’s beaches and boasting about the temperatures you’ll be flying into. 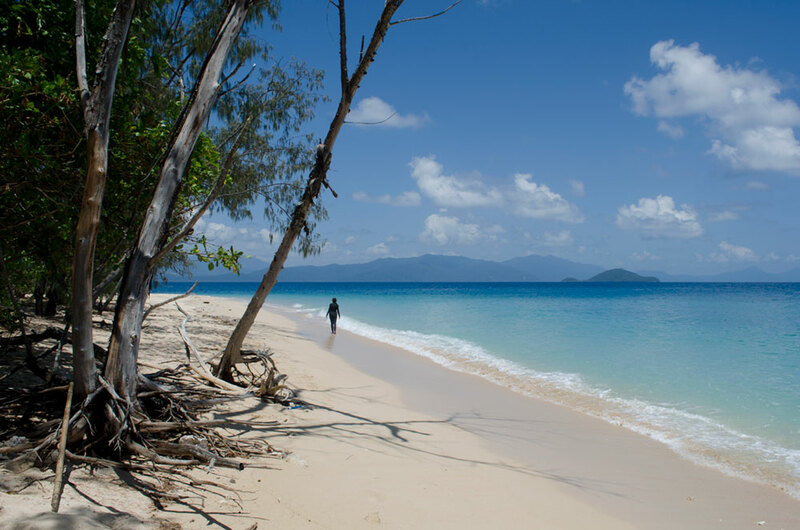 Normanby Island, part of the Frankland Island Group around 45km south of Cairns.